Vipul is the global lead for International Schools and Education Technology at the Department for International Trade. In this role, Vipul helps UK businesses grow their exports and works closely with education businesses and government organisations all around the world. Prior to UKTI, Vipul was vice president for Strategy and Finance at Education First where he helped grow the business in Latin America, Europe, Middle East and Asia. Vipul’s experience also includes heading strategy and corporate development for RM Education and a strategy consultant for Marakon Associates. 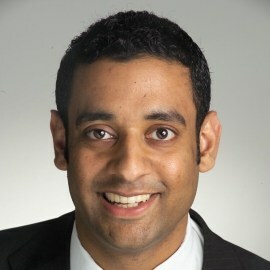 Vipul holds an MBA from London Business School and undergraduate degrees in mathematics and computer science.